That’s what you most likely say when you look at our full time RV life on the road here on the site. Am I right? There’s nothing you can think of that you want to do more and you are just positive that this is the perfect life for you. It would eliminate everything you currently despise or struggle with. But we both know that our life portrayed online is not the full reality. It is absolutely skewed to the pretty and the positive. Sometimes, however, that just doesn’t cut it. Sometimes you need a headline that draws attention to the more challenging side of this unusual endeavor. Fellow introverts be warned: You will likely be challenged with this lifestyle. In fact, there will be days that you are sure you are going “around the bend” of sanity, never to return again. Just…a few…more…minutes…alone! Before launching into this lifestyle, I was the ultimate early riser. My weekdays almost always started at 5 or 5:15 am and I would relish the 45-60 minutes of alone time that led the way into my day. This schedule was my norm even while working from home, when I did not have a “full work schedule” to contend with. That’s how much I loved that sacred time of reading, writing, meditating and just thinking in the morning. That window of time, without another eyeball on me and with walls between me and everyone else in the house, was the oxygen my spirit craved and seemed to survive on. And here’s the deal: Depending on what type of RV you end up with and how many people are in that RV, you could find yourself in a much more “introvert friendly” situation. You could have your own untouchable and private space where your introversion can thrive. But for me, this has been one of the most challenging aspects of living full time in less than 200 sf of space with five people along for the ride. So you should be aware. I kid you not: Grocery shopping is probably the most exhausting and mind-numbing task that we accomplish on a regular basis with this lifestyle. But I am not exaggerating (much) when I tell you that each shopping trip at a new grocery store seems to feel like a full day of work! We walk out bleary-eyed and pale, staring straight ahead into oblivion and drooling out one side of our mouths for the remainder of the day. When you never know what products you’re going to find at a given store, nor where in that store to find what you actually need, it can really sap your mojo! Pathetic? Maybe. 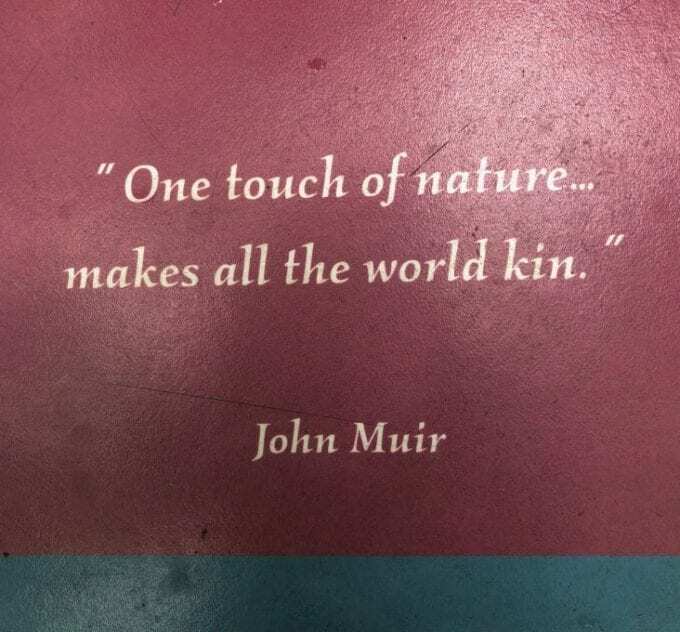 Seems pretty insignificant? I get that. But it’s true. Couple that “brain drain” with the greatly-reduced size of our refrigerator and you have a recipe for the grouchies. Because now we have to make two reasonably large trips to the grocery store on a weekly basis instead of only one weekly trip. Hey, I am aware that this stuff is pretty minor in the grand scheme of things. Really, I have not completely lost touch with “reality” and I realize that the trade-off is pretty dang good. But you may not be able to fully understand the grocery store toll until you live through it for a while. When I look back on my 20s and 30s, I see a young man determined to create a “perfect” life for his family. The right cars. Right TV. Right house in the right neighborhood with the right yard and the right schools. You get the idea. But when we hit the road, I learned to lose control a bit. I learned to give up that need to check every detail of our next location before we arrived. The fact is, I just couldn’t keep up with checking the details at the pace at which we moved (normally a new spot every 3-7 days or so). I didn’t need to know whether our RV site was going to be paved or grass or dirt. Or six inches of mud (that was fun!). Instead, I learned to let go. In learning that, I began to notice that the situation we often ended up with was better than where my preferences or demands would have led me. When I let go and stopped demanding, things were routinely and surprisingly better. I found that my plans and preferences had actually seemed to often block the path to better things available out there. I know, it’s a bit counter-intuitive for our typical American “take charge” attitude. It’s hard to accept…until you experience it for yourself. Before we sold the house and moved into the RV, I remember listening to a podcast that really helped me to let go of my paralyzing fears and embrace this journey ahead of us. In the podcast, the gentleman spoke about keeping your focus on the remarkable experience you are creating for yourself and your children, on the horizons that are broadening, and not on the things you don’t know or are uncertain of or can’t control. But he also mentioned that he had developed what he considered to be a superpower during their time on the road: The ability to go with the flow. My first reaction? That’s not a superpower! The more I contemplated it, however, the more it made sense. Again, it goes against the grain of our Western need for control and precision. Maybe that is why it feels so freeing to embrace it. Can I say that this is now my superpower? Depends on the week you ask me. 🙂 But I sure am a lot closer to it now than I was 13 months ago, and that feels close to perfect. I thrive on schedule and routine. When I did not have those things imposed upon me, I began to feel dazed, confused and uncertain about everything. My focus and progress seemed to be elusive. Do we have any routine at all? 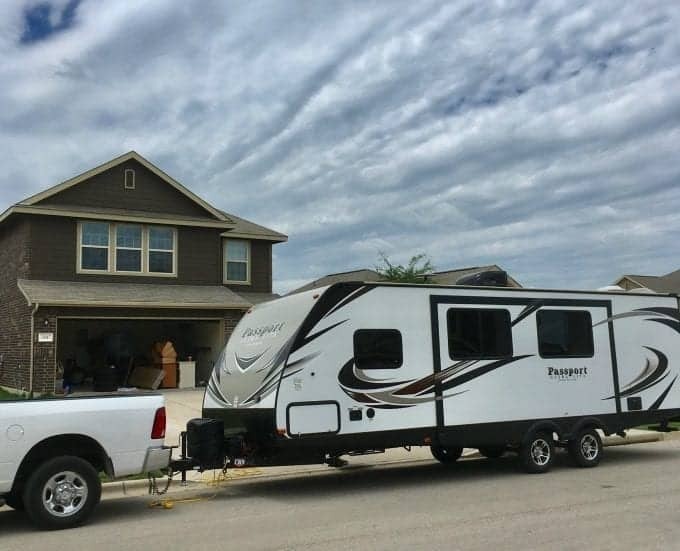 So after 13+ months working on the road in a travel trailer moving at least every seven days on average, have we found ways to establish some routine in our lives? Hmmm….I guess it depends on the week you ask me that. Because each one is honestly different. More often than not, the week consists of 2-3 days that include a full work schedule and planned productivity (normally the first 4-5 hours of each day) and other days that are much more free form. That has been our typical(ish) rhythm. Could we do better in this arena and increase our productivity and business results with more structure and routine? I have to say yes. If I had to put the lesson for me into one sentence: Learning to hold routine and schedule loosely, instead of having a death grip on them, has helped me to experience the distance between my productivity and my innate value. In essence, I can have days of the week that I am far less productive without feeling guilty about it, without completely stressing out about it and feeling like I am somehow less worthy. Routine and schedule are still necessary components in my life, but they have their place and are not allowed to call all of the shots and determine each step. There is a bigger picture to consider. Community has played a large role in our life as a family. Most of that community, for our kids and for us, has come through churches that we have attended over the years or through connection with the parents of our kids’ school friends. At this point in our lives, we don’t have a church or school community to provide that social foundation. Right now, our 14-year-old son is obviously doing his schooling here in the RV. So no school community to rely on and connect to. And even if we chose to try and attend church while on the road, which we have not, it would not fulfill that same need for community because of the fast pace at which we move around the country. It would be new people nearly every week. 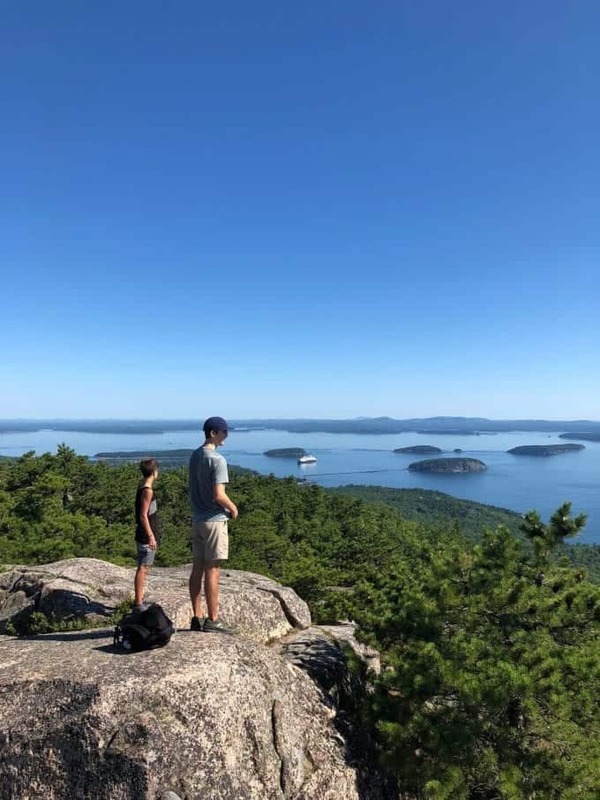 Now, we have been able to make some great connections with other families in a couple of spots over this past year. Not surprisingly, we can trace these connections directly back to the social circle that our 14-year-old “social butterfly” has developed. When there are kids around at an RV park, he will make friends. Sometimes even if we are just there for a few days. So the most significant social connections that we have made resulted directly from his friendships since we ended up meeting the parents of the friends. 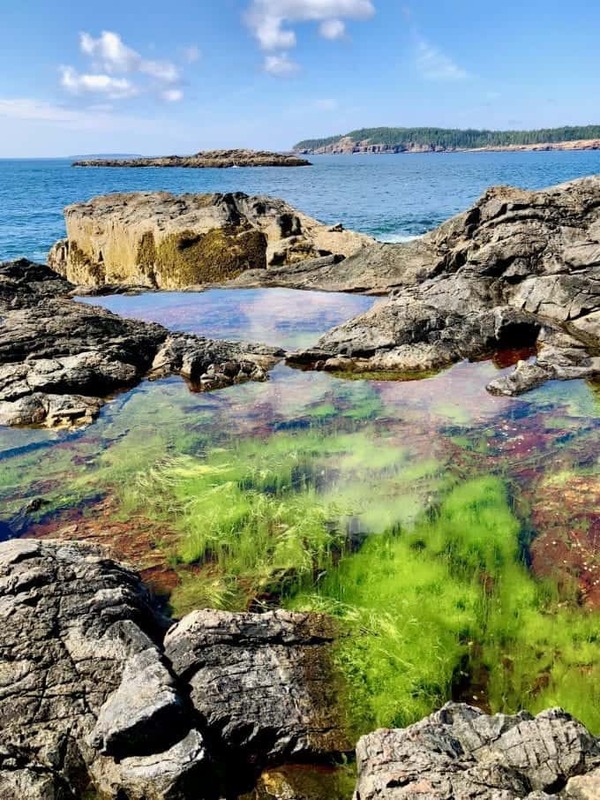 In fact, we are about to head into Canada for a two week exploration of Prince Edward Island and Nova Scotia with one of these families…and we are excited!! And our son is about to come out of his skin with anticipation of good friends to hang out with for a whole two weeks! Yes, it is a real challenge and it is definitely hard to navigate those missing community connections for long periods of time. We continue to try and be more proactive in developing those connections, but it can be difficult to keep that focus in the natural flow of life on the road even when the need is there. Truthfully, other families seem to have done much better in this arena than we have and have maintained better community connections. (Most of those families have been on the road longer also, which could be a major factor.) And we are getting better at it by plugging into some Facebook communities for full time RV families where you can find out if other folks are in your area and reach out, etc. You could easily guess that the positive side of full time RVing has outweighed these hard things about the lifestyle. If the positive did not outweigh the negative, we would probably not be on the road any longer. This is exactly what I have been trying to hint at with the pictures included in this post. The positives are significant! But the challenges, as a whole, are nothing to sneeze at. My hope is that you will factor in these possible challenges if you are considering the full time RV lifestyle as an option. One last thing to consider: You should expect higher highs and lower lows if you choose full time RVing as a lifestyle. We heard this piece of advice before ever hitting the road, and we have found it to be a very true statement. Life is less flat-lined and more dynamic than what you may be used to in a standard existence. Knowing this ahead of time, and preparing ourselves mentally to experience this reality, has helped to keep us out of “panic mode” when a low period hits. We have learned that we just need to ride it out sometimes and not make any rash decisions at those low points. We want the absolute best for you with your future plans, and the best situation will come about when you deeply and honestly consider the pros and cons. Each pro and con will affect your family differently, so take our input about the hardest things you will face and make the right decision for you. Here’s to a happy life…whatever you choose! The letting go of control and going with the flow are very good qualities to work on no matter where you live! I have found life to be more peaceful as I lighten up my grip and expectations. Thanks for sharing! That is so true. I think every person would benefit from embracing those pursuits more and more every day. It is very challenging in our society that pushes us in the opposite direction…there’s no doubt about that. Thanks for your comment! We don’t RV full time, but we travel and camp a lot. We usually buy our groceries when we get to our destination, and I totally get the part about not knowing what they have or where it is. Some stores like Target and Walmart let you shop online and pick it up. That helps so much if there’s a place like that on your route. Hey Colleen! Yeah, grocery shopping is tricky. We have tried to order online, but we’re usually either too close to the destination for a decent pick-up time or we’re too far out for the Walmart app to pick up the location I want to shop at. But definitely shopping at a familiar store like that where things are usually in about the same place helps a ton! 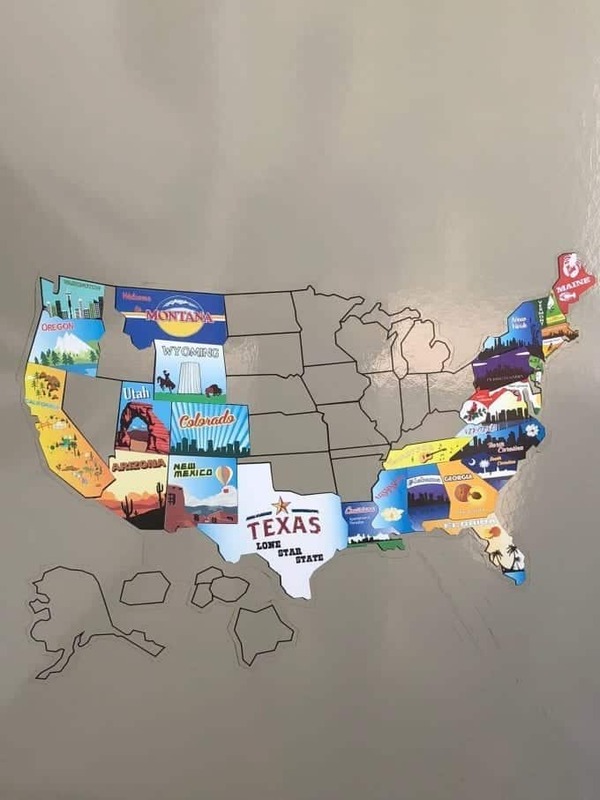 What area of the country do you RV in most? For me, the hardest part of RVing, was cooking. RV cooking is a totally different animal than what I was used to at home. I didn’t want to get caught up in grilling all the time so creating simple meals that didn’t require lots of pots and pans, kitchen utensils, spices and sauces and lots of time that I otherwise enjoy, was a challenge. I’m still working on a cookbook that is simple yet diverse enough to not get boring. We are not full time campers since the thought of being a nomad with nowhere to go home to frightens me. We’ve needed doctors and dentists and not having “your” doctor or dentist was stressful. Our first trip (never having been camping before and newly retired) turned out to be amazing. We were gone 96 days, drove 10,000 miles around the USA, and stayed in 55 different campgrounds. We didn’t tow a car so that meant taking our house with us wherever we went. But there is soooooo much to see in this country, we only experienced a tiny bit. We’re between campers right now but hope to get back on the road next summer if our health holds out, All I can say is if you get the chance to do it, GO! Hi Linda! Yes, cooking is definitely a challenge! When we first started full-timing I thought we would grill all the time, but it ended up being kind of a pain. Your trip sounds amazing! And you’re right, there is so much to see just in the U.S. We wish you the best as you try to hit the road again! We have been full time RVing for about 9 years now. We are residents in an RV park currently because my wife still has a few more years of work before she can retire. However in our lifestyle we are in the position of an axle on a wheel. We are sitting still watching everyone else come in and out of the park. It’s surprising to see what about RVing people really know. It’s my opinion that about 70% of RVers are “green” or simply don’t care about properly setting up and maintaining thier RV. That was seriously surprising to me. I always help those that ask and depending on the situation even those that don’t ask. I particularly like to talk with The traveler from other countries just staying a few months and renting thier RV. I try to help them and guide them in the right direction so to make thier travels safe and memorable. 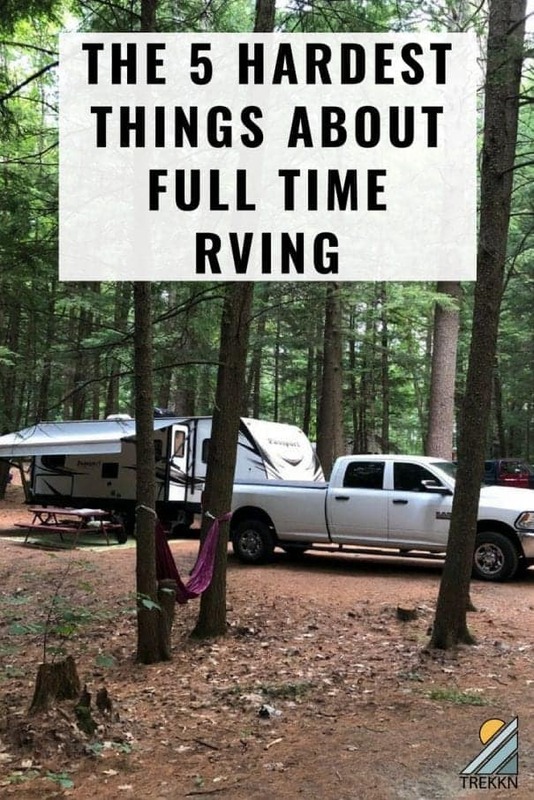 Full time RVing has all the same responsibilities that living in a sticks and bricks home has. You still need to be financially responsible, you still have to do repairs, maintain insurance, school your kids, ………and the list goes on. The only difference is that you are mobile. You have the choice to move from place to place on a daily basis with no anchor holding you down (unless you are still working at a certain location you cannot leave yet). Enjoy and safe travels.